Adoption Profile - Hopeful adoptive parents, Dominic and Jen, wish to adopt a baby. Hello, So Happy You’re Here! 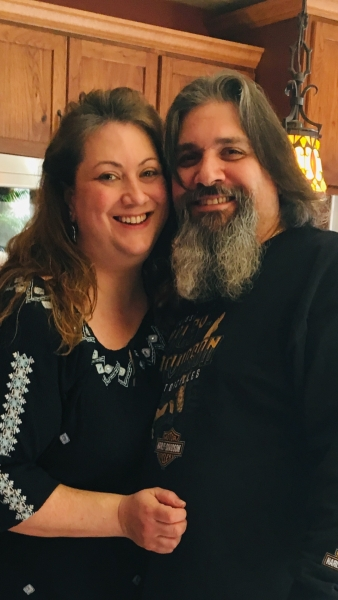 We are Jen & Dom, a loving, down to earth couple from Brooklyn, NY. We are so excited and ready to open our hearts to the world of parenthood! Our long time dream of raising a family begins here. We have an incredible support system of family and friends. Our home is inviting and comfortable with plenty of room to play. A good education is important to us. Your baby will have a great foundation to grow on and will always know what an amazing person you are to us. We are so grateful you have taken the time to read about us. We have to commend you for having such strength and courage during this time. As you get to know us, we hope you find comfort in knowing how much we’d love to share our lives with a child through adoption. It may also ease your mind to know that Dominic has been in a similar situation as yours and can relate to the challenges you are facing. He is a birthparent who placed a baby for adoption many years ago and has recently reconnected. We welcome you to read on and get a glimpse into our world. We only wish the best for you and your baby. We will forever love, protect and support your baby unconditionally. They will always be safe. We want them to thrive and succeed, to know right from wrong and how to respect others. We want them to be the best person they can be. We would love to see them excel in school and have a well rounded education. We hope to introduce them to many different experiences in life and let them follow their dreams. We want to teach your child how important family is with good values and traditions. Most important, we want them, as well as you, to be happy. We met on a blind date set up by mutual friends. We went to dinner and played billiards. Dom told friends after our first date that he had met the woman he was going to marry! After 16 months of dating, Dom proposed on the deck of a dinner cruise around lower Manhattan, near the Statue of Liberty. It was incredibly romantic! In October 2004, we were married in church followed by a beautiful reception on Long Island. Marriage is definitely an adventure and we couldn’t be happier! We are married 15 years now. We occasionally celebrate our anniversary in Disney World where we also honeymooned. Our relationship is strong. Our love and values run deep. We will always be there for one another as we will for your child. We have been patiently waiting for the next chapter of our lives to begin and become parents. We tried having a family on our own and faced many years of infertility problems. Although we were disappointed, our determination to have a family stayed strong and we quickly switched gears towards adoption. After some research, we joined APC ( a local adoptive family support group), attended meetings and got lots of information. It was the best thing we could’ve done! Our devotion to be the greatest parents for your child is our priority. Ø We have 2 small dogs, Max & Lola. Ø Dom loves to go fishing and watch sports. Ø Dom goes camping in Upstate NY every year. Ø We love to travel and visit Disneyworld often! Ø Jen bakes lots of cookies at Christmastime! Ø Dom is a huge fan of the rock band KISS! Ø Jen listens to music all the time, enjoys live shows and concerts. We are blessed to have a loving, supportive family with whom we are very close. Dom has one brother, James. James and his wife, Karen, their 3 young daughters. Dom’s aunt & uncle, who are like parents to us, live in the neighborhood. Dom has a large extended family within and outside of NY. He also has two adopted cousins. Members of Jen’s immediate family reside in Queens, NY and South Carolina. Jen has one brother, John, who is married and has 2 sons. She also has step-siblings and extended family out of state. Our holidays and parties with family are a special time to catch up and reminisce. Our heritage is mostly Italian so there’s always plenty of good food to be had! Easter, Thanksgiving and Christmas are biggest for us. We have annual July 4th barbecues and spur of the moment get-togethers as well! Our parents brought us up to be responsible, independent, respectful people with lots of love to give. They made sure we had a good scholastic background and always did the best we could. We promise to teach your baby these qualities and more. Besides our family, our friends were so thrilled to find out we decided to become adoptive parents! They know how hard we tried to have a family. We are so lucky to have a great group of friends that we’ve known for many years. They mean the world to us! Some of them have children also. In fact, we are godparents to friends and family members. Our friends are so thoughtful and supportive; they are always there when we need them. We consider them family. Hey there! Happy father’s day! Hope you’re having a great day! Summer is coming quick here in NYC! Got any exciting plans?? We’re hoping to do a little getaway someplace. Keeping our fingers crossed! We finally finished sprucing up our backyard for the season. Came out pretty with all the flowers. Love all the colors!